Nuclear energy has become a hot issue again. McCain wants all nuclear, all the time, and when he talks about wind and solar he seems to grind the words out through clenched teeth. To his credit, Obama doesn’t dismiss nuclear power as most Democrats have done in the past, and he seems to regard it as a reasonable thing to pursue in moderation. That’s an intelligent approach, and it’s one reason I’m such a strong Obama supporter. Nuclear energy is a sticky wicket. US energy policy toward nuclear has always been ambivalent, meaning that we get the worst of both worlds: mediocre electricity production from a few plants, at fairly low efficiency. The US can’t decide what to do with its high-level nuclear waste: the stuff is slated to go to Yucca Mountain, but the Nevadans don’t want it, and neither does anyone else. The US doesn’t reprocess its spent fuel, even though that’s the only way to maximize power output and fuel efficiency. Those are all old issues. What’s new is the fervor with which the GOP has embraced nuclear power lately. It’s almost like they can’t stand the idea of wind and solar, but they see the need for alternatives to fossil fuels, so they jump to nuclear because it’s sufficiently manly for them and doesn’t force them to sit in the same room with hippies. Never mind that those solar and wind hippies are mostly venture capitalists arguing for high tech jobs. To the GOP, solar + wind = hippies = communists. Also I’m annoyed by the way the GOP is framing the argument. McCain presents nuclear power as a solution to foreign oil, when oil is used to make liquid transportation fuels, not electricity. Oil and nuclear are two different answers to two different questions. In the US our electricity comes mostly from coal. As I’ve said here in a previous post, I’m not anti-nuclear, but I’m not outlandishly pro-nuclear, either. I want to be clear… when I say pro- or anti-, I’m talking specifically about whether or not I think it is advisable to devote substantial Federal support to the issue, either as tax incentives, corporate subsidies, or Federally-funded research initiatives. Private capital is free to build whatever it wants, within the law. But questions of public policy mean picking favorites and handing them tax dollars. I just want those dollars to be intelligently and effectively spent. Does nuclear power need support at the Federal level? In my opinion – as someone who’s actually done research on nuclear materials – the answer is not really. Nuclear technology is a mature field of engineering that has come a long way since Chernobyl and Three Mile Island. 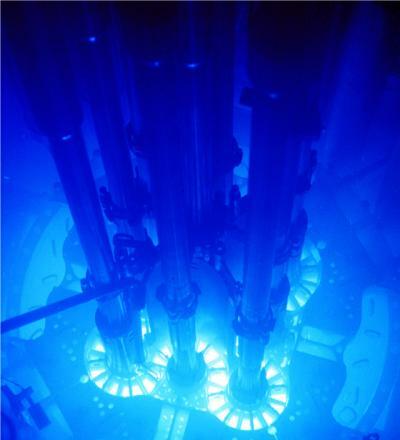 The best reactor designs in the world can run at very high efficiency, using breeder technology to get a prodigious amount of power from a kg of raw U. Competitive Federal grant money should continue to be available for basic and applied nuclear research, and I don’t have a problem with that. But in the zero-sums game of Federal science funding, I’d much prefer the bulk of research dollars going to immature energy technologies that hold the most promise for sustainable widespread application… namely, solar photovoltaic, solar thermal, and wind turbine power. The Federal government could license some new nuclear plants, but I’d prefer they only award licenses to the best designs and to the best builders…. and most of those are not American. I’d also prefer that we start reprocessing our fuel and breeding it in high-tech reactors that squeeze out every erg from every fissionable atom. We need to adopt a more grownup commitment to dealing with the waste, and not treating it like a political hot potato. I’m not sure we can do all that. To be more precise, I’m not sure we can decide to do all that, and then keep doing it through successive future administrations that whipsaw our national energy policy left and right every 4 – 8 years. Nuclear energy is a trade-off. It generates essentially zero air pollution and zero carbon emissions. It has to be strip-mined, but so does coal. It provides a great deal of energy per kg of fuel… much more than any fossil fuel technology can provide. A light water nuclear reactor can generate at least 30 gigawatt-days per metric ton of U fuel, compared with only about 0.0004 gigawatt-days per ton for bituminous coal. That’s the upside. The downside is radioactive waste, which one cannot afford to screw around with. Spent fuel is not reprocessed in the US, which prevents a lot of nuclear waste but also wastes a lot of fissionable fuel. Reprocessing the spent fuel gets you a lot more years of power production per kg of U, but reprocessing also refines plutonium, a wonderfully toxic heavy metal that is intensely radioactive and highly useful for atomic bombs. Making a plutonium fission warhead is difficult… but packing a suitcase full of plutonium and C4 explosive isn’t. Either bomb could permanently erase a city, but the second option doesn’t require a world-class industrial nation, only a well-financed squad of suicidal fanatics. Imagine if both planes, as they flew into the World Trade Center on 9/11, had each carried a suitcase of plutonium powder. Personally, I’d prefer not to imagine that. Other nations have weighed these risks, and decided that nuclear power is better than coal. In many ways, it is better than coal. France gets most of its electricity from nuclear plants, and it has the cleanest air in central Europe. But France has also decided to commit for the long haul. I wonder if the US could do that? Until it becomes clear that the US can adopt a higher profile for nuclear power and be permanently responsible for the hard work that requires, I don’t think we can afford to just dive into a nuclear future. Right now I’m hearing a lot of political wind about nuclear power being cheap and easy. It’s neither. And until our nation can take the nuclear commitment seriously, I think we should keep hands off. ~ by Planetologist on October 20, 2008. I also think transmutation is very exciting; basically it’s all about trying to plot a path through the chart of nuclides that will take you from dangerous radioactive isotope to stable product. It’s difficult, and requires lot of clever manipulation of neutron exposure and chemical separations, but it’s physically possible to transmute nearly all high-level waste into harmless isotopes. The only problem is cost, which is very high. Still, it’s a price you pay and then the waste is gone. I love transmutation… it’s real life alchemy. As far as Yucca Mountain goes, much of the opposition is understandable reluctance to be saddled with all the nation’s high-level waste. Also I’ve read some commentary by Nevadans who feel like the country dumps on them too much… nuclear bomb tests, and now Yucca Mtn. It’s hard to argue with that. The burial plan at Yucca is more or less sound, geologically, though there might be some danger from local volcanic activity at some point. I just think it’s too wasteful to bury materials that you really want to keep your eye on, and which might become desirable as nuclear fuel if domestic nuclear policy changes to promote reprocessing. You’re right on. Though it should be noted that the plutonium issue can be dealt with fairly easily. If you load it into a proper breeder, it can be “burnt off” and transmuted into something not-plutonium. And you get energy out of the Pu. I know that CANDUs are capable of doing this. You still get waste, but at least it isn’t weapons-grade. Great blog, by the way. I’m glad you opened comments up so we don’t need to register to post. I agree mostly with what you said, but why are people so against putting waste in Yucca Mountain? Are there actually good scientific arguments against it?